Tobin | Parnes was commissioned to restore the famed I. Miller building at 1552 Broadway NYC space, a majestic and regal landmark. Designed in 1926 by Architect Louis H. Friedland, the original facade materials included limestone, polished marble, bronze and terra cotta, each carefully crafted into mosaics and motifs of classically-inspired historic styles. In addition, four beautifully carved golden niches that house statues of 1920’s leading actresses Ethel Barrymore, Marilyn Miller, Mary Pickford and Rosa Ponselle were gracefully rendered by Alexander Stirling Calder, father of renowned modern sculptor Alexander Calder. The work on the I. Miller building pays homage to this history, through the restoration and cleaning of the limestone façade, decorative window openings and the existing statue niches along 46th Street. Second floor building signage that was randomly added over the years will be removed to reveal large windows and decorative marble panels that stretch along 7th Avenue. 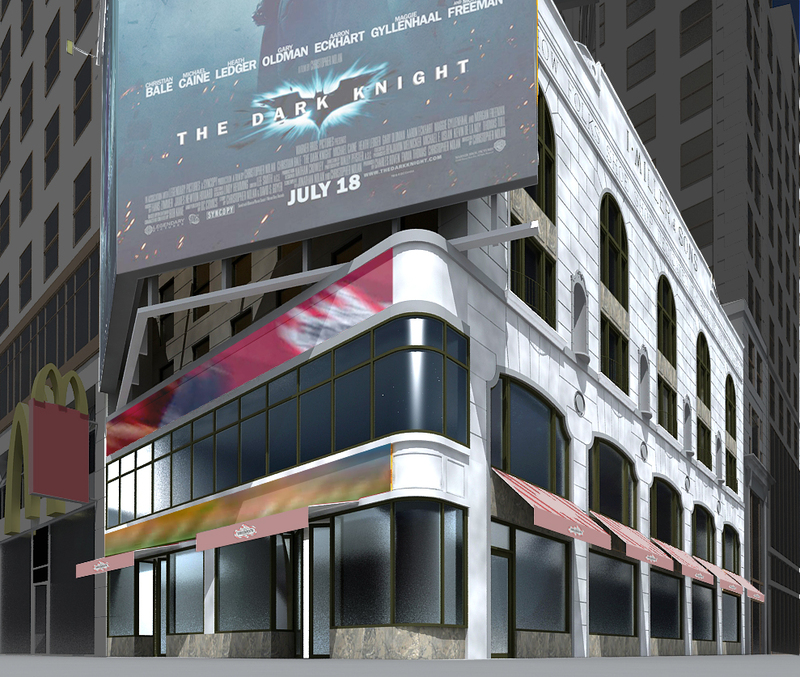 A classic new fabric awning will anchor the street level retail space that wraps around the first floor of the entire building.